As if today’s superyachts and concepts aren’t already sufficiently badass, now we have a chance to look at superyacht concepts proposed for the next decade by some of today’s top designers. Boat International just published Futureyachts, a bookazine that covers the future of superyachts from many aspects. Boat International gave Digital Trends an early look at images of and info about some of tomorrow’s superyacht concepts so we could give you a preliminary look. 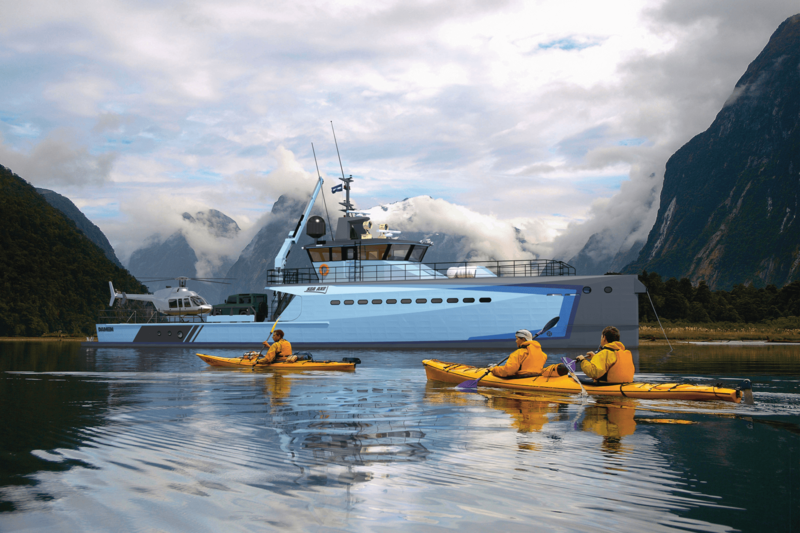 Futureyachts is available on Boat International’s website here. 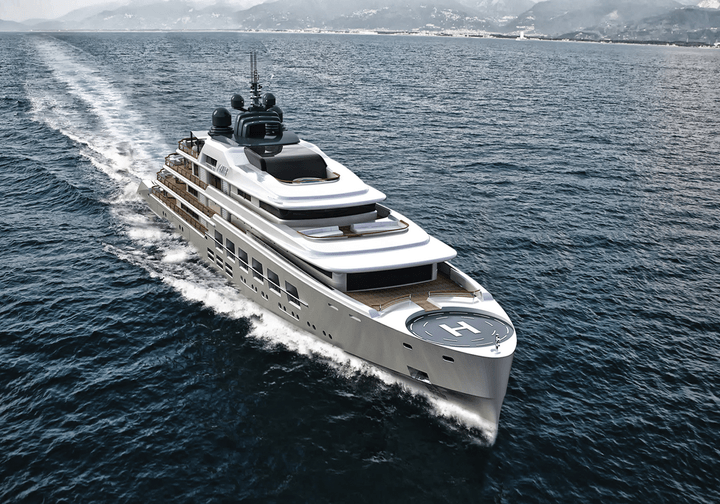 L’Amage kicks off the list as an exceptionally large superyacht with contemporary technology. The differentiating feature is passenger capacity. 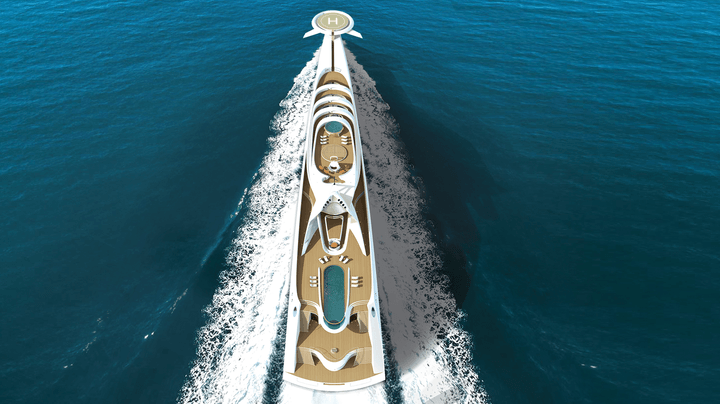 This 190-meter (620-foot) concept yacht stunner by Hamid Bekradi of HBD Studios and Christoph Kuhnert of Yacht Naval Architects of Hamburg can host 28 guests in 14 staterooms and still have room for 70 crew members. That works out to 2.5 crew per guest to be sure your needs are met whether you’re lounging in the bar, dancing in the wide open sitting area, or swimming in the wind-sheltered infinity pool. If you’d rather be alone, head topside to the grand observation deck with uninterrupted sea views. 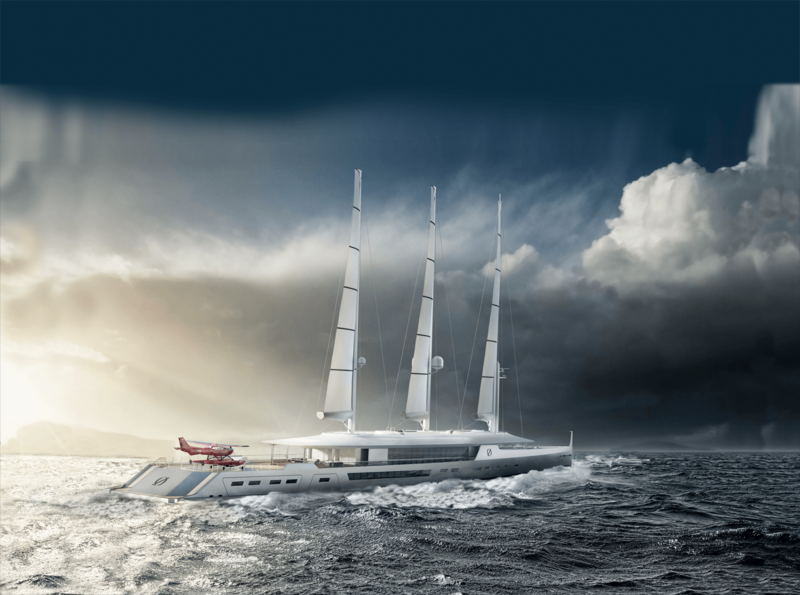 It appears that future superyachting often may be less about sunbathing and more about exploring. 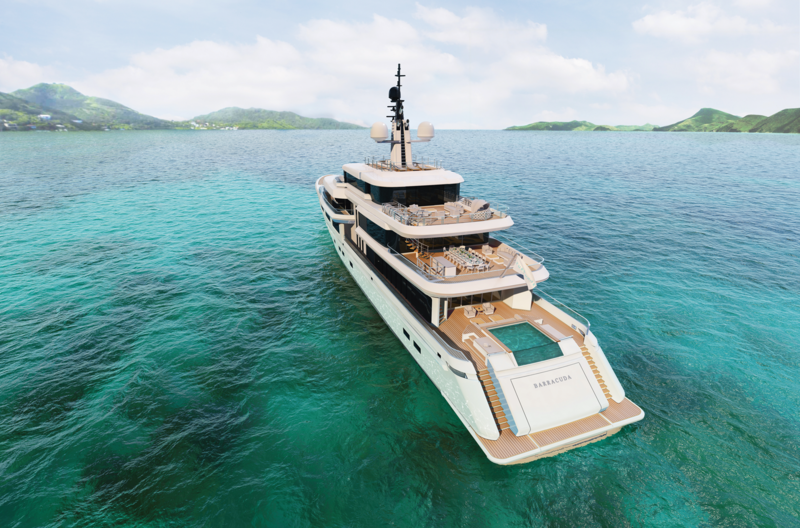 The 52-meter (171-foot) Tomahawk 52 proposed by Columbus Yachts and designer Marco Casali will match onboard comfort with technical and seakeeping qualities. The name comes from the bow’s ax-like shape. The Tomahawk concept can work in lengths from 40 to 100 meters. 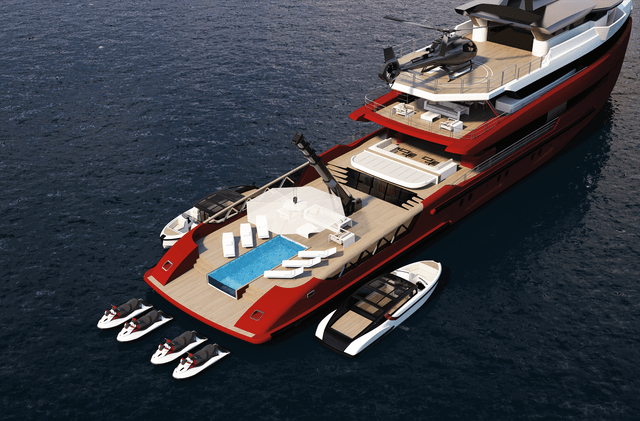 Casali told Boat International the Tomahawk is a “yacht inside a ship.” The owner will be especially aware of the luxury with the 807-square foot owner’s suite and 226-square foot private terrace. Italian shipbuilder Rossinavi and U.K.-based designer Ken Freivokh worked together for the first time on the 48-meter (157-foot) Argo. 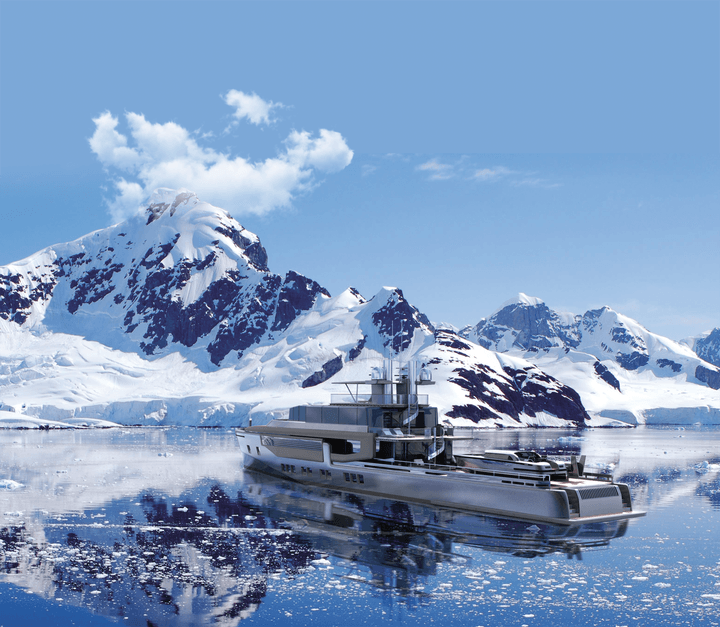 Another explorer-style superyacht, the Argo is designed for independent operation or for service as a support ship for even larger yachts. Argo has extensive tender storage and a custom-designed crane for launching two tenders, a personal submarine, and an amphibious landing craft. The aft deck also has a touch-and-go pad for the always-essential helicopter. Here’s a superyacht specifically designed to be a floating hotel. Naval architect Frank Neubelt’s 100-meter (328-foot) testbed is proposed to the smallest of a fleet of four superyachts, all managed by a five-star hotel chain. The other three will be about 130-meters long (427 feet). The Y-Club 100 will have 16,684 posh square feet to be shared by 36 guests and 50 crew members. All guest suites will have private balconies, living and sleeping areas, and separate dressing rooms. The exterior decks, counting the dual-purpose helipad and sundeck, add another 8,557 square feet of usable space. 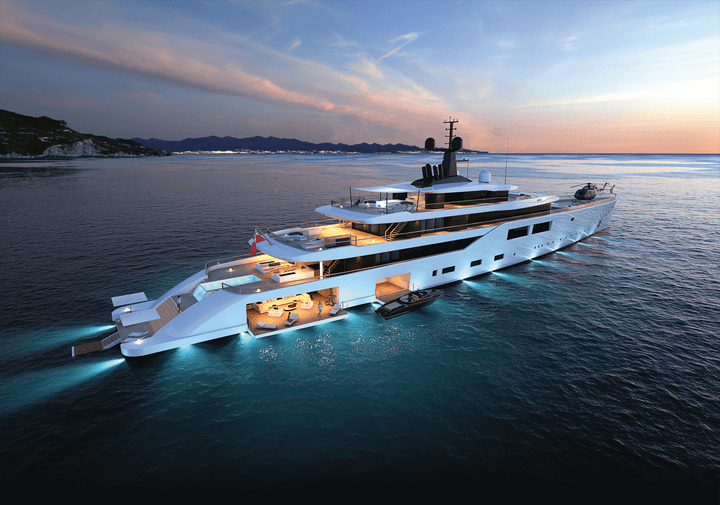 Right off you’ll notice the large windows for plenty of natural light on the Spectrum, conceived by Nauta Design and Oceanco. With five decks there is plenty of room for 14 guests with flowing interior and outdoor deck spaces. The lower deck features a wellness suite with a sauna, steam room, beauty treatment room, a massage room, and a gym. Project Norse has sails, but the main power is provided by conventional engines. The sail-assisted explorer is designed to travel across oceans and to both poles. 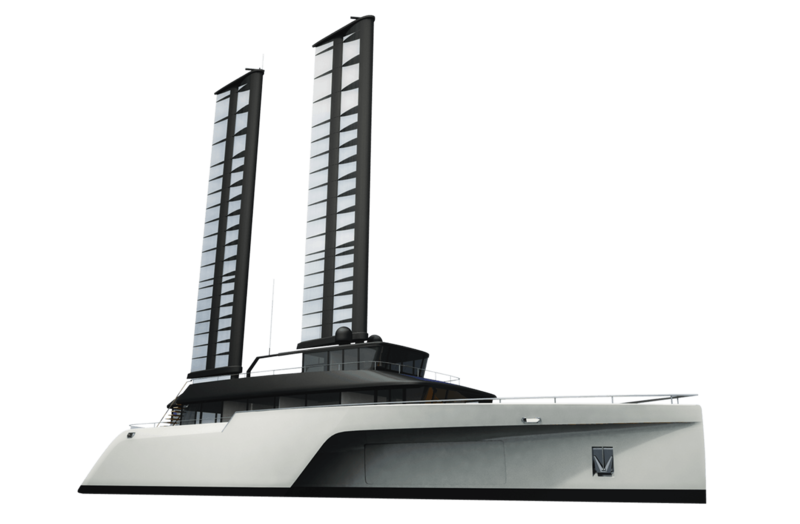 Self-sustainability and minimal environmental impact drive the design concept, inspired by “the extensive range and endurance of the longboat and the use of sail as a secondary power source,” according to designer Oliver Stacey. Three identical masts have in-boom furling mainsails for maximum reliability and flexibility. Project Barracuda’s owner won’t have to wait till the ’20s. 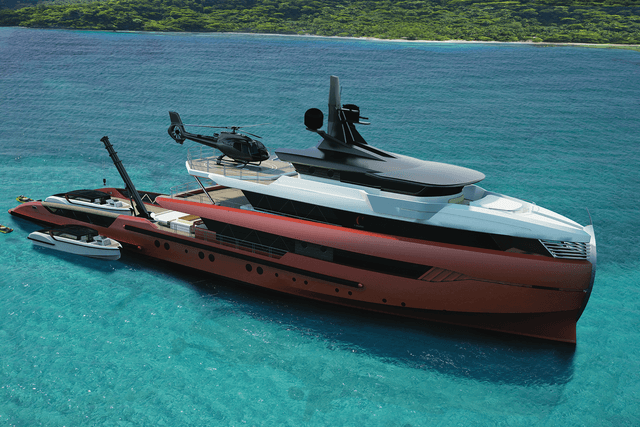 A collaboration of H2 Yacht Design for exterior design and Ken Freivokh for the interior, Project Barracuda is now under construction now at Turquoise’s Kocaeli shipyard and scheduled for delivery in 2019. The focus is practical elegance while enjoying the sea. Public areas include a combination saloon and dining room, a full-beam upper lounge and bar, steam room, massage room, beach club, and an indoor/outdoor gym. A triple-height atrium links the decks with a spiral staircase. The superyacht has space for 16 fun-loving guests in the owner’s suite, two VIP suites, and four guest cabins. 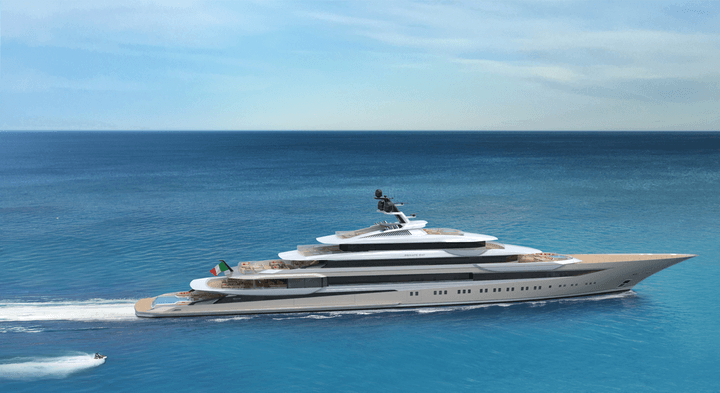 Horacio Bozzo’s 123-meter (404-foot) Private Bay concept for Fincantieri accommodates 18 people with eight VIP cabins and the owner’s suite. A 160-square meter (1,722-square foot) beach club has an infinity pool with a swim-up cocktail bar, an outdoor cinema, and stairs that fold out for easy water access. You’ll have plenty of fun tooling around in other water craft with the Private Bay’s 8-meter RIB (rigid inflatable), 10-meter tender, 11-meter limo tender, and four personal watercraft, all housed in a side-loading tender garage. The André Hoek-designed explorer-style superyacht is currently under construction by Turquoise Yachts in Turkey. It resembles classic steamships but is built and equipped for 21st-century exploration. In addition to two good-sized tenders, the as-yet-unnamed ship has state-of-the-art satcom equipment in hidden domes and a large boarding platform with retractable stairs. Classic design follows inside with teak detailing styled by Hoek studio with John Vickers Studio in the United Kingdom. 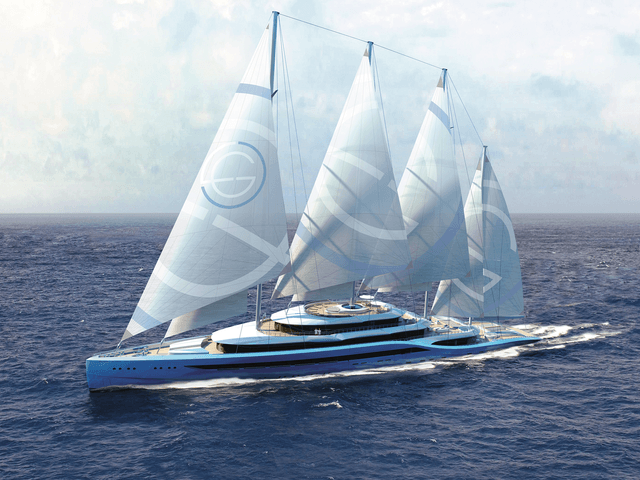 Project originator Mark Pajot says the hybrid Komorebi’s wing sails can drive the yacht up to 12 knots, reducing fuel consumption by 30 percent. Three buttons control the sails and the battens and sailcloth store in their booms. Inside there are five cabins on the main deck for guests and a beach club on the aft lower deck. 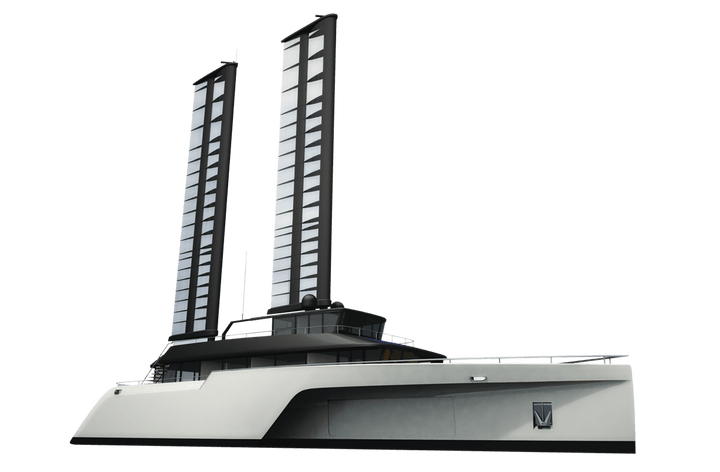 French multihull specialist Coste Design is responsible for this power trimaran, which can be built in 60-, 80-, and 100-meter versions (197, 262, and 328 feet). 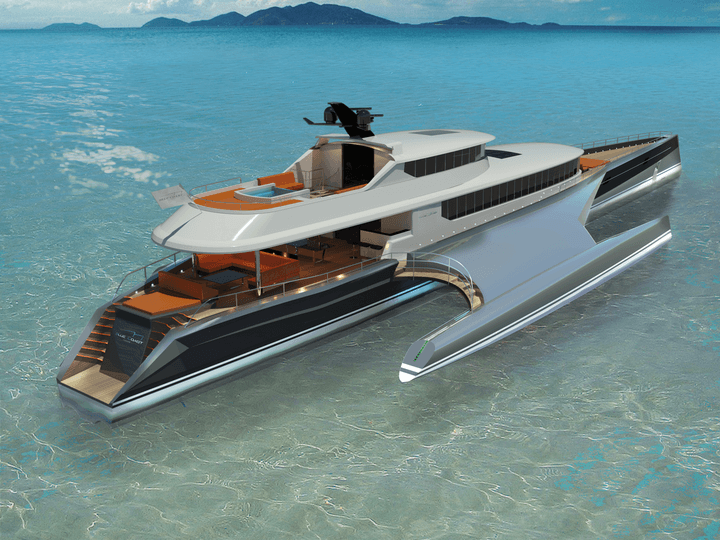 Designed to be fast, light, and fuel-efficient, the yacht superstructure has a voluminous saloon with wrap-around window vistas to complement what promise to be luxurious accommodations. 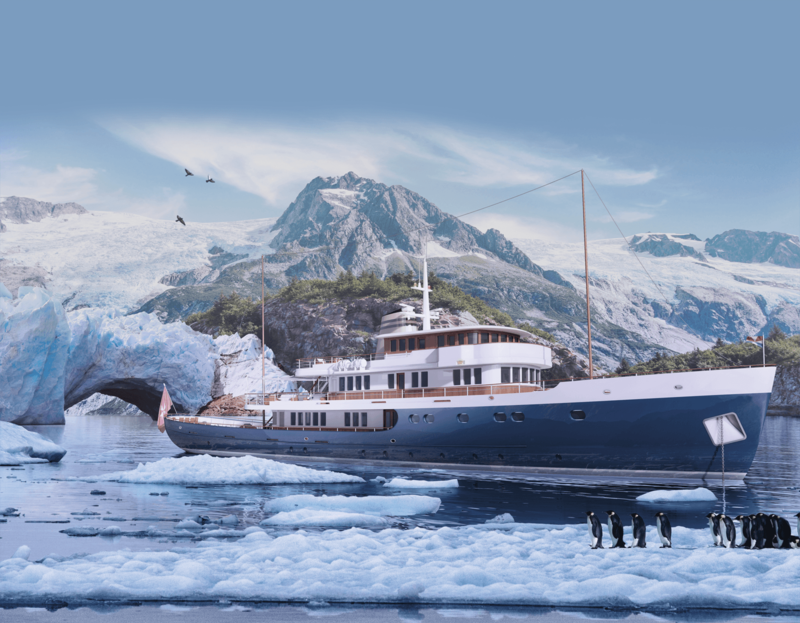 A collaboration by U.K.-based H2 Yacht Design and Laurent Giles Superyachts Architects, Project Atlas combines motor yacht size, explorer yacht range, and sailing yacht fuel savings. When the keel is raised, the Atlas can cruise like a motor yacht. Keel down, the low-drag hull and multimasted sail rig combine for efficient sailing. Expansive decks have multiple pools. Cleverly hidden lifeboats integrated into the upper deck are covered by detachable bulwarks. Eight guests in five cabins can go exploring with Dutch shipyard Damen’s 43-meter (141-foot) Adventure 4008. 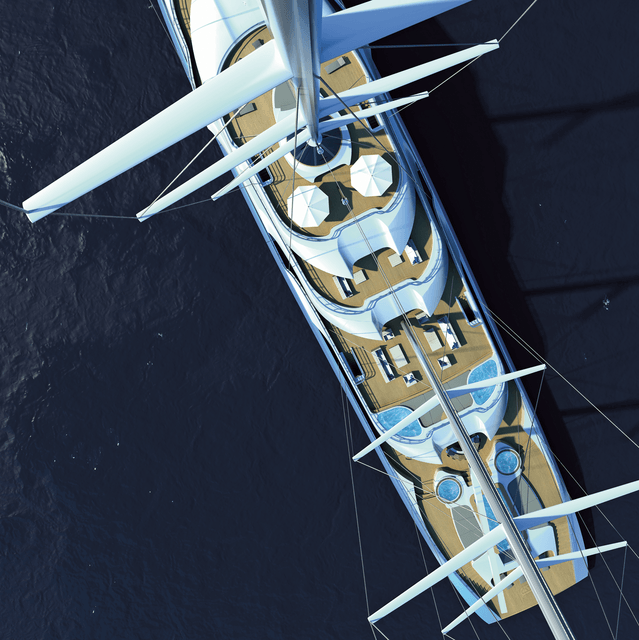 The superyacht’s rugged design has performance sufficient for thrill seekers, according to the designer. The aft deck does double duty as a helipad while providing space for personal submarines, watercraft, and tenders.